Cabins are reserved on a first-come, first-served basis. Please note: an additional charge of $50 will be added for du Thanks Family Camp. Skipper's: Sleeps 5, 2 bedrooms, fireplace, screened porch, kitchen, deck, bathroom. Beds: 1 queen, 1 bunk (2 long twins), 1 long twin. McKenzie: sleeps 5, 2 bedrooms, kitchen, screened porch. Beds: 1 queen, 1 bunk, and 1 twin. 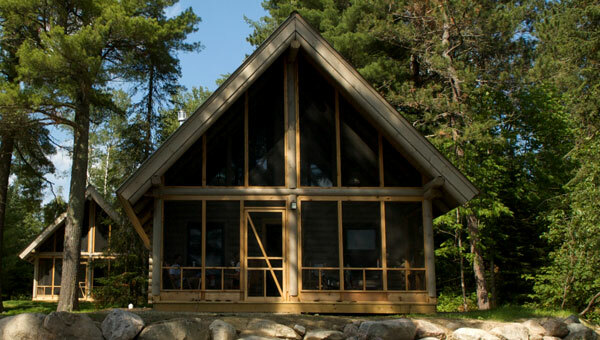 Eagles Nest: Sleeps 2, 1 room with kitchenette. Beds: 1 queen. Include all programs, use of facilities, and use of water front equipment. Some arts and crafts projects have an additional materials fee, as do cookouts and overnights.